Ayton Castle is an important Scottish baronial mansion to the east of Ayton in the Scottish Borders. The present castle dates largely from the 19th century. The castle is protected as a category A listed building and the grounds are included. 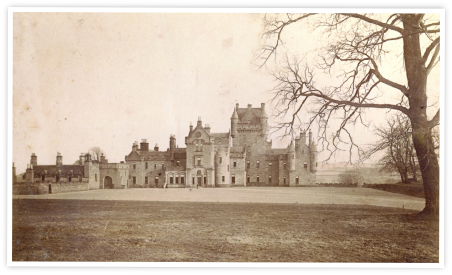 Ayton Castle is a prominently-sited, impressive local landmark, renowned for being one of only two Baronial structures by architect, James Gillespie Graham (1776-1885). The castle is set among garden terraces, parkland and attractive woodland, which together make an outstanding scenic contribution to the local landscape. 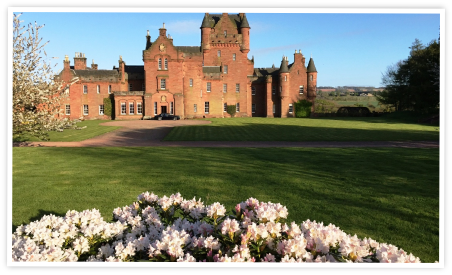 Ayton Castle is regarded by many as perhaps the finest example of Scottish baronial architecture in the country. With work by Bryce and Maitland Wardrop and interior schemes by Scotland's then leading houses decorators, Bonnar & Carfrae, not only is this the most significant building in the parish, but also, one of the most significant within the country as a whole.